In case you missed it, Ryan McGregor, Business Intelligence & Supply Chain Solutions Specialist, was featured in a recent airing of Business Spotlight on WPSE AM 1450/FM 107.1 Radio. Business Spotlight is a 30-minute program airing Fridays at noon. Each segment focuses on a business or organization that is making an impact across the region. 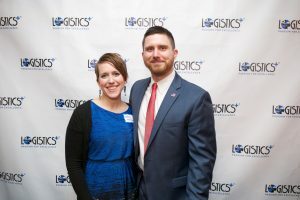 In this segment, Ryan discusses his role with Logistics Plus, the role Business Intelligence plays with the company, the different solutions Logistics Plus provides, and more. You can listen to a replay of the interview on the Logistics Plus YouTube Channel below.